This article appeared in the March-April 2015 edition of Tibetan Review. Matteo Miele* examines the diplomatic activities of the 13th Dalai Lama in Beijing during his escape there in the aftermath of the British invasion of Tibet in 1903-04, which explains why he made the 1912 declaration of Tibet’s independence: that whereas Tibet viewed itself as an independent country forced to remain subservient to the wishes of its powerful neighbour, China not only considered Tibet a part of its empire but also looked to fully integrate it in ways unprecedented in history and which the communist Chinese eventually carried out in 1959. The thirteenth Dalai Lama Thubten Gyatsho (Thub-bstan-rgya-mtsho) arrived in Peking on September 28, 1908. He reached the city by train, at two in the afternoon, greeted by representatives of the Wai-wu pu, Li-fan yüan and of the imperial family. Among the conditions for the audience that the Emperor Kuang-hsü and the Empress Dowager Tz’u-hsi would have granted the Dalai Lama there was the k’ou-tou, or the act of prostration before the emperor. The reason for the different treatment given to the thirteenth Dalai Lama, in comparison to the one of the visit in the seventeenth century by the Great Fifth, was the intervention of Chang Yin-t’ang who had advised the government on the procedure to follow with the spiritual leader of the Gelug-pa. Thubten Gyatsho had made no secret of his opposition to such a gesture, which would have been therefore replaced by a simple kneel. The successor of Thubten Gyatsho, the fourteenth and current Dalai Lama Tenzin Gyatsho (Bstan-’dzin-rgya-mtsho), gave a purely religious interpretation to that genuflection: Tibetans considered the emperor as the body of manifestation of the bodhisattva Mañjuśrī (tib. ’Jam-dpal-dbyangs) and therefore Thubten Gyatsho knelt to the sprul-sku and not to the political leader of the Empire. The audience, originally scheduled for October 6, also because of ceremonial matters, was then fixed for October 14, 1908. While in Peking, Thubten Gyatsho had the opportunity to have direct or indirect contacts with several Western representatives: an envoy had gone to the British, Russian, German, American and French legations and Ministers of Washington and Paris had a private audience with the Dalai Lama. This created a certain discomfort with the Government of China. For this reason, on October 8, 1908, the Wai-wu pu informed the Doyen of Diplomatic Body the days and times at which the foreign delegates could meet with the Dalai Lama, and only after they have been received and presented by a Chinese officer. Just two days before, on October 6, the Dalai Lama met with William Woodville Rockhill, the US ambassador. At the meeting there were no Chinese, and the American diplomat found Thubten Gyatsho “in a much less happy frame of mind than when I had seen him last; he was evidently irritable, preoccupied, and uncommunicative”. A couple of weeks later, Dorjiev, who was in Peking with the Dalai Lama, shared the latter’s worries with Rockhill: Thubten Gyatsho saw his temporal power over Tibet threatened: after less than two centuries of substantial autonomy within the Manchu imperial system, Ch’ing Dynasty was rethinking the political and administrative status of Tibet. The country, to be divided into administrative districts «as in China proper», would have been then hit by a series of reforms, to regulate the military, the infrastructures, monetary system, education and agriculture. If these were really the reforms contemplated, I could not see what objections the Dalai Lama could have to them. Furthermore, military questions, relations with foreign States, educational questions (in some countries) were all Imperial matters which could not be left to the various States to deal with independently. The Dalai Lama was concerned about a marginalization of Dge-lugs school and asked to continue to exercise the right to submit memorials to the emperor, after consultation with the Amban in Lhasa, without being obliged to go through the Viceroy of Ssu-ch’uan and the Li-fan yüan, a right that had been denied to him during his stay in Peking by the Li-fan yüan itself. The problem was the political nature that the Dalai Lama seemed intent on giving to these contacts with Western diplomats. In fact, the envoy of the Dalai Lama had spoken to Korostovetz about the contrariety of Thubten Gyatsho about the k’ou-tou and reiterated the claims on the temporal power of Tibet. Shortly after, the meetings with the Russians and the British were held. The visit of Jordan took place on October 20, 1908. After passing the entrance, controlled by two Tibetan soldiers with Russian rifles, the English delegates found themselves in front of the thirteenth Dalai Lama who «was seated cross-legged on yellow satin cushions placed on an altar-like table about 4 feet high, which stood in a recess or alcove». To his left, five seats for the delegation, to his right, the abbot of Drepung (’Bras-spungs) and the Tibetan-Chinese interpreter, a lama from the bordering area with Ssu-ch’uan. The only Chinese in the room was a young interpreter of the Wai-wu pu, translating into English the Chinese and vice versa. It was a very formal meeting, which lasted about eight minutes. The Dalai Lama expressed his desire to erase the conflicts of the past, wishing a happy new course in relations between Tibet and the Raj and Jordan agreed to his request of handing his message of friendship to Edward VII. 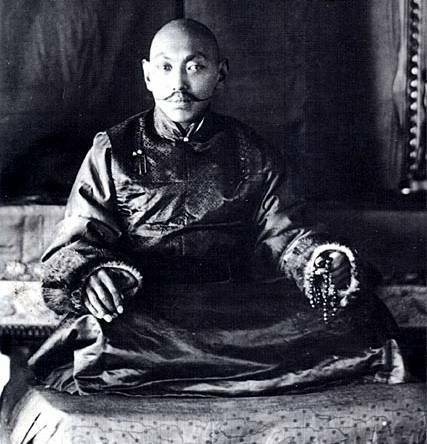 On 25 November 1908, the Dalai Lama also met with Sidkeong Tulku Namgyel (Srid-skyong-sprul-sku-rnam-rgyal), Prince of Sikkim («Maharaj Kumar»). The young man had arrived at the Yellow Temple around two in the afternoon, and stayed with the Dalai Lama for over two hours. The two talked about their experiences abroad, the Prince in England and Europe, while the Dalai Lama of his travels after the escape from Lhasa and during which he had the opportunity to learn the Mongolian and Chinese languages. In particular, during his stay in Mongolia, the Dalai Lama had been able to meet the Buddhist Mongols and receive affection and respect from them and hoped «to strengthen this influence and to extend it still further over other Buddhist countries in course of time». The Dalai Lama did not have a good impression of the Jetsun Dampa (Rje-btsun dam-pa). With regard to the relations with China, the Sikkimese Prince became aware that Thubten Gyatsho had little sympathy towards the Empire, with which he had to continue a forced coexistence. At the same time the Dalai Lama had shown himself well-disposed towards the British and the Raj. In this regard he was interested in the visit of the Panchen Lama in India and the very good hospitality that he had received from the British authorities. Furthermore the Dalai Lama «said that he had been told that the English were the most honest amongst all the nations, and was that so? The Kumar replied in the affirmative, and added that they were the most powerful as well». The Dalai Lama had the intention, after his return to the Potala, to send some Tibetan students to the Raj to study medicine and other scientific subjects. Another topic of conversation was the project to return the control to the Buddhists of the shrine of Bodh Gaya (at the time controlled by the Hindus), the place where Siddhārtha attained enlightenment. The Dalai Lama would have participated actively in the project, at the request of the Prince, as «joint President» (together with the Panchen Lama) of the company that had to bring the issue forward and of which the Prince would have been the vice-president. On November 14, 1908, the Emperor Kuang-hsü died, probably poisoned on the orders of Tz’u-hsi. The Empress Dowager died the following day. The Celestial Empire was in the hands of a two-year old child, P’u-i. The thirteenth Dalai Lama left Peking on the morning of December 21, 1908. He headed towards the monastery of Kumbum (Sku-’bum byams-pa gling), in Amdo (A-mdo), waiting “until he receives an Imperial letter, when he will be free to proceed to Lhassa”. While the Dalai Lama was travelling, Sir Jordan received in Peking, on January 4, 1909, a letter from the Secretary of State for Foreign Affairs Sir Edward Grey informing him of the response of a grateful Edward VII to the Dalai Lama. Of course, at the time, it was not possible to deliver the message directly to Thubten Gyatsho and Jordan was not enthusiastic of the idea to go through the Wai-wu pu. The alternative, suggested by Jordan, was to inform him through the Government of India on his arrival in Lhasa. However, within the ceremonial dimension, the new friendship between the head of Tibet and the British was now clear. The meetings with foreign diplomats and the audience at court were the prelude to a radical reversal of the geopolitical map in which Tibet was inserted. Those that between 1903 and 1904 had invaded the Land of Snows would become, in early 1910, the new protectors of the Dalai Lama, again fleeing from Lhasa, but this time running away from a Manchu imperial power that will show its most cruel face in its last months of life. 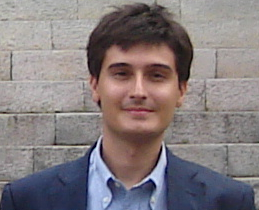 * Matteo Miele (Frosinone, 1984) holds a PhD in Political and Social Sciences, Program in Geopolitics from the University of Pisa, where he is a Cultore della materia at the Department of Political Sciences. Between August, 2011 and July, 2012 he was a lecturer at the Sherubtse College, Royal University of Bhutan. The National Archives, Kew (TNA), Sir J. Jordan to Sir Edward Grey, September 30, 1908, FO 535/11, No. 112, p. 96. The ministry responsible for outer territories; in Manchu language: Tulergi golo be dasara jurgan. Rowe, William T., China’s Last Empire: The Great Qing, The Belknap Press of Harvard University Press, Cambridge, Ma, 2009, p. 39. TNA, Sir J. Jordan to Sir Edward Grey, September 30, 1908, FO 535/11, No. 112, p. 96. TNA, Rules for the Reception of the Dalai Lama sent from the Grand Council to the Board of Dependencies, the Board of the Interior, and the Comptrollers of the Imperial Household, Inclosure in No. 112 (Sir J. Jordan to Sir Edward Grey, September 30, 1908), FO 535/11, pp. 97-98. Ya Han-chang, Ta lai la ma chuan, Jen min ch’u pan she: Hsin hua shu tien fa hsing, Pei-ching, 1984, p. 215. TNA, Sir J. Jordan to Sir Edward Grey, October 12, 1908, No. 114, FO 535/11, p. 99. Laird, Thomas, The Story of Tibet. Conversations with the Dalai Lama, Grove Press, New York, 2006, p. 232. TNA, Sir J. Jordan to Sir Edward Grey, October 12, 1908, No. 114, FO 535/11, p. 100. The visit and its political and religious meanings were analysed with particular attention in Jagou, Fabienne, The Thirteenth Dalai Lama’s Visit to Beijing in 1908: In Search of a New Kind of Chaplain-Donor Relationship, in Kapstein, Matthew T. (ed. ), Buddhism Between Tibet and China, Wisdom Publications, Boston, 2009, pp. 349-378. TNA, Sir J. Jordan to Sir Edward Grey, October 12, 1908, FO 535/11, No. 114, pp. 98-99. Ivi, p. 99; TNA, Wai-wu Pu to Doyen of Diplomatic Body, October 8, 1908, FO 535/11, Inclosure in No. 114, p. 99. TNA, Mr. Rockhill to President Roosevelt, November 8, 1908, Inclosure 1 in No. 3, FO 535/12, p. 3. Ibidem; TNA, Draft of Paragraphs which the Dalai Lama wished to include in his Memorial to the Empress-Dowager thanking for honours conferred, but which the Li-fan Pu refused to allow him to do. (Given to Mr. Rockhill by one of the Dalai Lama’s Khampos in Chinese, November 5, 1908. ), FO 535/12, Inclosure 3, in No. 3, pp. 6-7. TNA, Sir J. Jordan to Sir Edward Grey, October 25, 1908, FO 535/11, No. 117, p. 101. TNA, Memorandum by Mr. Mayers, FO 535/11, Inclosure in No. 117 (Sir J. Jordan to Sir Edward Grey, October 25, 1908), pp. 102. TNA, Memorandum of an interview between the Dalai Lama and the Maharaj Kumar of Sikkim held at the Yellow Temple Peking on November 25th 1908 (signed by W.A. O’Connor, Major), FO 800/244, pp. 260-262. Sidkeong Tulku was born in 1879, the second son of the ninth Choegyal of Sikkim Thutob Namgyal (Mthu-stobs-rnam-rgyal). Ascending to the throne in 1914, he would die the same year, succeeded by his younger brother Tashi Namgyel (Bkra-shis-rnam-rgyal). Chos dbang gting skyes dgon pa byang mkhan po chos dbang, Sbas yul ’bras mo ljongs kyi chos srid dang ’brel ba’i rgyal rabs lo rgyus bden don kun gsal me long, Rnam rgyal bod kyi shes rig nyams zhib khang, Gangtok, 2003, TBRC Resource ID: W00EGS1016728, p. 273 and p. 280. TNA, Memorandum of an interview between the Dalai Lama and the Maharaj Kumar of Sikkim held at the Yellow Temple Peking on November 25th 1908 (signed by W.A. O’Connor, Major), FO 800/244, p. 260. Ivi, p. 260 and p. 262. Ivi, p. 262. Indeed, the popular devotion of the Mongols had fuelled some jealousy on the part of the Jetsun Dampa and the latter had subjected the Dalai Lama to several provocations forcing him to move to another monastery. Zhwa sgab pa dbang phyug bde ldan, Bod kyi srid don rgyal rabs, Vol. II, T. Tsepal Taikhang, Kalimpong, W.B., 1976, TBRC Resource ID: W28263, pp. 135-136. TNA, Memorandum of an interview between the Dalai Lama and the Maharaj Kumar of Sikkim held at the Yellow Temple Peking on November 25th 1908 (signed by W.A. O’Connor, Major), FO 800/244, p. 261. Crossley, Pamela Kyle, The wobbling pivot, China since 1800: an interpretive history, Wiley-Blackwell, New York, 2010, p. 141. TNA, Sir J. Jordan to Sir Edward Grey, December 21, 1908, FO 535/11, No. 119, p. 104. TNA, Sir Edward Grey to Sir J. Jordan, January 4, 1909, FO 535/12, No. 1, p. 1. TNA, Sir J. Jordan to Sir Edward Grey, January 6, 1909, FO 535/12, No. 2, p. 1.